Are new instruments as good as Antonio Stradivari's prized creations? (Inside Science) -- Sometimes myth and science clash, even in the ethereal world of violins. For more than 300 years, the world's best violinists, from 19th-century virtuoso Niccolo Paganini to modern master Joshua Bell, have insisted on using violins made by Italian masters. Even today, many top soloists believe the instruments, made by luthiers like Antonio Stradivari in the late 17th and early 18th centuries, are superior to newer instruments. Various theories even emerged as to why that was so, including the weather during the time the violins were made, the kind of wood used, and the varnish on the wood. But are they really better than modern instruments? After a series of scientific tests, researchers in the U.S. and Europe say they are not, that most people, including the musicians, can't tell the difference, and when asked which sound they prefer, tend toward modern instruments. Needless to say, many musicians don't buy it. In a study published online today in the journal Proceedings of the National Academy of Science, Claudia Fritz of the Sorbonne Universités in Paris, violin maker Joseph Curtin in Ann Arbor, Michigan, and Fan-Chia Tao, an employee of D'Addario & Co. which manufactures strings for instruments, reported two tests that challenge the myth. They tested three modern violins against three made by Stradivari, played before audiences with or without orchestras. The Paris experiment involved 55 "experienced" listeners, including violin makers, critics, composers, musicians and others. The Strads are part of a group of Baroque instruments violinists call Old Italians, which include those made by Stradivari, Nicole Amati, Jacob Strainer and Giuseppe Guarneri del Gesu in Cremona, Italy around 1700. Stradivari died in 1737, after producing around 1,116 string instruments, including cellos, mandolins, guitars and hundreds of violins. About 600 of them remain. They are extremely valuable, and most carry the name of one of its owners through the years. The cellist Yo Yo Ma uses the Davidson Strad. The Hammer Stradivari sold for $3,554,000 in a 2006 auction, and the 1721 Lady Blunt violin, for 10 million British Pounds in 2011. The Vienna Philharmonic Orchestra, one of the world's best symphony orchestras, has five in the string section. In two separate experiments, one in New York, the other in Paris, the researchers wrote, three new violins were compared to three Stradivari. They tested for projection -- how well the violins filled a concert hall -- and which style the musicians and the audience preferred. One reason violinists love Strads is that they are quiet "under the ear" but can fill a huge concert hall with sound. The tests were expansions of tests Fritz and Curtin performed in 2010 and 2014. The orchestra tests involved excerpts of violin concerti by Johannes Brahms, Peter Tchaikovsky, and Jean Sibelius. "The results are unambiguous," they wrote, "listeners found that new violins projected significantly better than those by Stradivari. Moreover, listeners preferred new violins over old by a significant margin." "Listeners (including violin makers and musicians) are no better at telling whether a soloist's violin is new or old." Michael Kannen will have none of that. Kannen, director of chamber music at the Peabody Conservatory at Johns Hopkins University in Baltimore and founding member of the Brentano String Quartet, said he didn't understand the purpose of the experiment. "It's like trying to prove that a Rembrandt painting is better than a [Willem] De Kooning," he said, "or that New York pizza style is better than Chicago pizza style." The opinions are subjective and many factors are involved, he said, including the fact that new violins are easier to play. 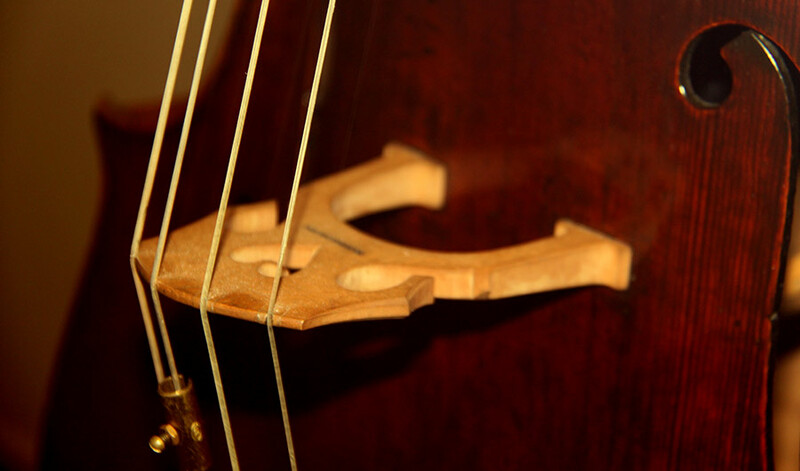 Old Italian violins often have distinct personalities. Kannen noted that master cellist Pablo Casals said he rarely played a Stradivari because he wanted one he could tame. Strads sound like Strads, Kannen said. Decades ago, at a concert, Kannen realized Casals was not playing a Stradivari cello and found out later he was correct. Casals was playing a 250-year-old cello made by Matteo Gottfriller. Curtin, whose new violins start at $46,000, said the researchers have yet to meet someone who was able to do that. "I don't disbelieve it," Curtin said. "There are many such stories. What we're trying to find out … is do they hold up to scrutiny in a scientific experiment. In this case we are sure they don't." His new violins are based on classic models, he said. The old luthiers were the greatest who ever lived. He pointed out that through time, even the Stradivari were altered and repaired and sound different then when they first emerged from the shop in Cremona. They probably could not play modern classical music without those alterations. The auction price of the Old Italians had nothing to do with the musical quality, Kannen said, but on what people are prepared to pay. But there is a reason why 300 years of great violinists prefer the Old Italians, he said. "They can't be all wrong."